Should Christians Support the New Hate Crimes Prevention Act? A Crater of Consensus, or False Assurance? 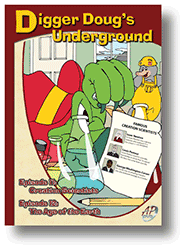 In addition to providing children with a masterful blending of scientific and biblical information, the episodes include original songs written specifically for the program. If you are a parent or grandparent, I know you will be delighted with these episodes if you will take the time to preview them. Copyright © 2010 Apologetics Press, Inc. All rights reserved. Can we know that God exists? Most people throughout history have believed in some concept of a Supreme Being.